Chemo Cookery Club is packed with delicious recipes to help make everyday food a positive part of life for cancer sufferers and their carers. With tempting treats and healthy food ideas, the emphasis is on the nutritional values that can make a difference, but most importantly this is a book that lifts the spirits - especially when food and diet can become a bit tricky. If you or someone you love are going through treatment, this book will help you create delicious meals and snacks that tantalise the tastebuds no matter how experienced - or otherwise - you are in the kitchen. Penny Ericson, experienced cook and carer, celebrates everyday meals and how they contribute to wellness, both physically and emotionally. If you're struggling with loss of appetite, wondering how to get more iron into your diet, wanting to relieve 'metal mouth' or dismayed that the foods you used to love now seem boring and tasteless as a result of treatment, Penny can help. 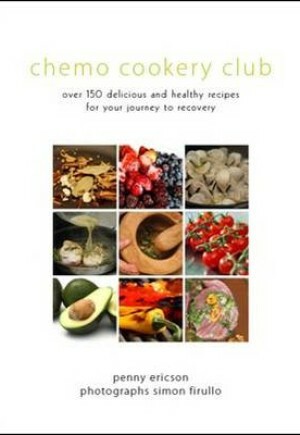 Nutritional information and recipe analysis has been contributed by leading cancer research dietician Barbara Parry MSc PD, and the book has been enthusiastically endorsed by major cancer charities.